Here’s a link to our latest Home Truths column in the Japan Times about young people moving back into the city. 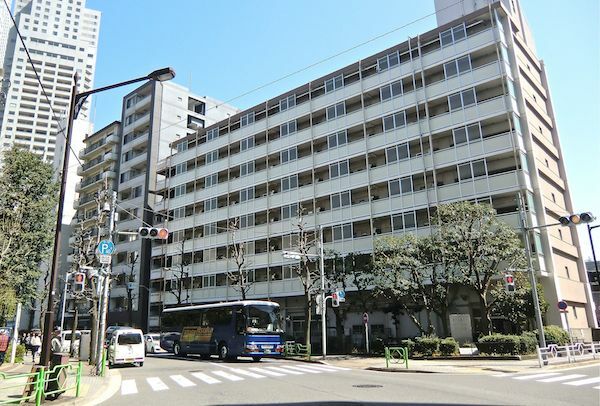 Several times on this blog we’ve written about the collapsed market for resort condominiums, which are conveniently called “rizoman” (for “resort mansions”) in Japanese. The majority of these apartments were built during the asset-inflated bubble period of the late 80s and the hangover from that period in the early 90s. Many, but not all, were attendant to the ski boom, and after the bubble burst and people’s interest in skiing deflated, more and more of these condos were abandoned by their owners, the result being thousands of empty units in vacation areas throughout Japan. More importantly, however, it also meant huge losses in property taxes for local governments and the deterioration of condo complexes that were no longer collecting management fees from absent owners, most of whom lived in major cities. These specific circumstances led to an unusual phenomenon. The units themselves dropped dramatically in price on the resale market and could be had for a song (or even a verse), but they could hardly be sold because even if the market price was only a million yen or cheaper, whoever bought them would also have to cover the back taxes owed, not to mention the unpaid management fees, and together these two debts could run into milions and millions of yen. In our latest housing column for the Japan Times we talk about a new book by Chie Nozawa that explains in simple, clear terms why more and more abandoned homes, both houses and condos, will litter the landscape in coming years. She gives a lot of good examples of the kind of city planning, or, more precisely, lack of city planning, that has given rise to over-production of housing even as the population in general is shrinking and homes are left vacant. Last week, she published an article in Gendai Business that summarizes and elaborates on the book. (Gendai is published by Kodansha, which also published her book) Her main thesis is that housing is “no longer” a financial asset, though we would probably argue that it never really has been. She points out that by 2033 one out of every three homes in Japan will be vacant, and that if nothing is done–either through demolition or some program to make more effective use of existing housing–there will be 21.5 million vacant homes in Japan. She give two reasons based on the fact that the huge boomer generation will be dying out in large numbers: 1) the homes the boomers have inherited from their own parents will be empty; 2) the homes the boomers built themselves will be empty because their own children built their own homes and thus have no reason to take those homes over. It seems almost redundant for her to mention that these homes, unless they are located in major cities on desirable land, have no value whatsoever. The homes that boomers now live in are old, and so their heirs cannot possibly move in or sell or rent them without extensive renovations, which is not liely to happen given the nature of the housing market, which is all about new things, as we pointed out in our column. Thus, these properties have “negative value,” meaning regardless of whether the heirs tear them down or improve them, they will have to spend money that they will never see again because it will become increasingly difficult to sell or otherwise liquidate these properties, most of which are in the suburbs. And the more there are, the worse this problem gets. This vacant house problem brings about what Nozawa calls the “sponge phenomenon.” In English parlance we might refer to it as the Swiss cheese effect: The suburbs of major cities, and even the cities themselves, become pocked with holes of vacancies that further erode surrounding property values and scare off younger potential homeowners, who gravitate instead to the nearest brand new ultra-cheap, ultra-cramped subdivision. Nozawa gives examples of regional capitals where this effect is already in full swing: 20.8 percent of the homes in Kofu, Yamanashi Prefecture, are vacant. Vacant housing comes in four types: rental housing that is presently uninhabited, vacant houses on sale, secondary housing (vacation homes, etc.) that is unoccupied almost all of the time, and abandoned housing, meaning not for rent or sale, merely empty. Nozawa provides statistics showing that of these four type, the last, abandoned housing, is increasing at the fastest rate. She also shows the direct relationship between the amount of new housing being built in a town or city, and that locality’s portion of vacant housing. In most cases the more building that’s happening, the higher the number of vacant homes. A few enterprising spirits are trying to address this problem. One local real estate company in Higashi Matsuyama, about 50 kilomters north of Tokyo, is actively buying up small lots in these sponge-like neighborhoods and combining adjacent ones to make larger lots that can accommodate larger houses, but in order to do that effectively the realtor has to locate the owners of land that in many cases has been abandoned for a long time, and often that means negotiating with more than one reluctant heir. It’s not a problem that is going away any time soon, or even later. 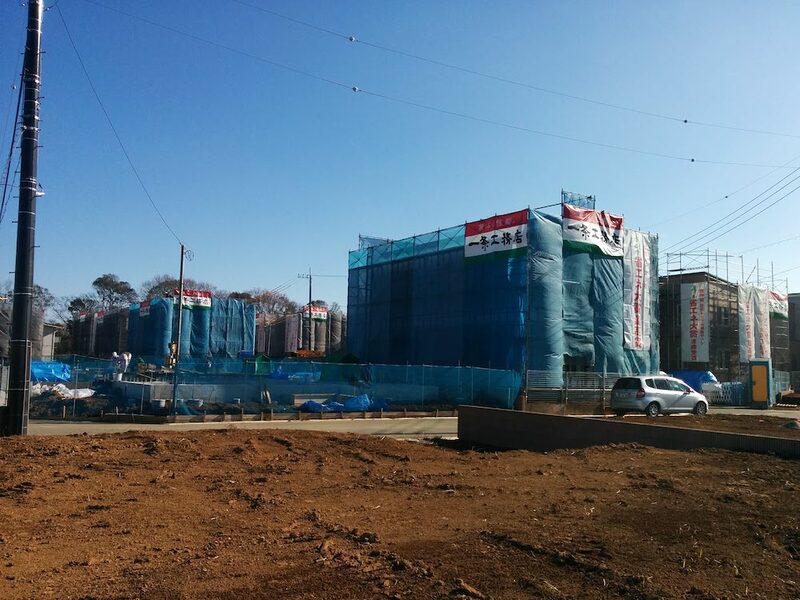 Because Japan as a country didn’t make housing starts an integral part of its economy until after World War II, we’ve tended to believe that housing developments didn’t exist before the war, but, of course, that isn’t true. Recently we came across a 2009 article by a professor named Ken Shibata who teaches at Kyushu University’s graduate school. In it he describes several prewar housing developments. 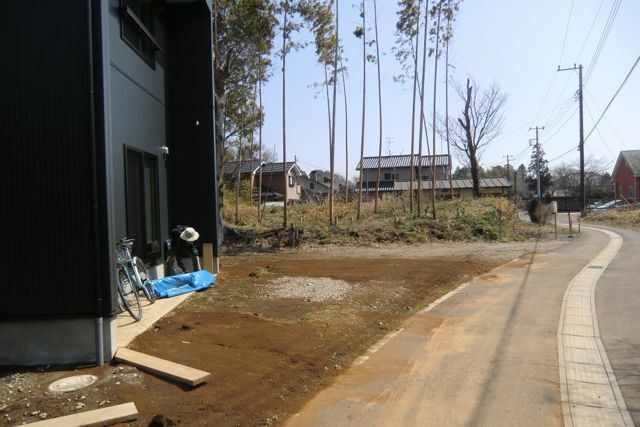 Shibata writes from the standpoint that “suburbs in Japan are in trouble,” meaning that they are increasingly filled with vacant properties and are losing value along with residents. He blames the policy–which we’ve mentioned many times in our own blog–of focusing on new developments rather than maintaining existing ones, and he cites three prewar housing developments that today have good value even though they are quite old. Two weeks ago we received a phone call from N, the salesman at A-1 whom we worked with when we built our house. There was a young couple who were thinking of asking A-1 to build a house for them, but they hadn’t yet secured a piece of land. Apparently, their desires are similar to what ours were: an area that had a bit more nature than your average subdivision. They currently lived in Matsudo, which is about 45 minutes west of us. The request was a surprise. A-1 doesn’t advertise, since advertising adds to their overhead and thus to the cost of their products. They don’t build model homes for the same reason. When a potential customer wants to get an idea firsthand of what their homes are like, they ask past, presumably satisfied customers if they can bring the potential customers in for an inspection. We did it ourselves when we started looking for homes and read about A-1’s philosophy and design concepts, and were impressed, much more so than with any manufacturer’s model home display. In A-1’s case, you get to see how the owner is actually living in the house designed for them.